Artist Mary Frank Mingles the Real with the Mythical Frank's vision hovers between the natural world and the world of imagination. 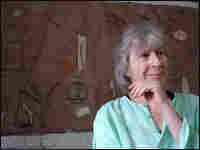 Every major museum in New York has collected her works, which include sculptures, drawings, paintings and works on wax. 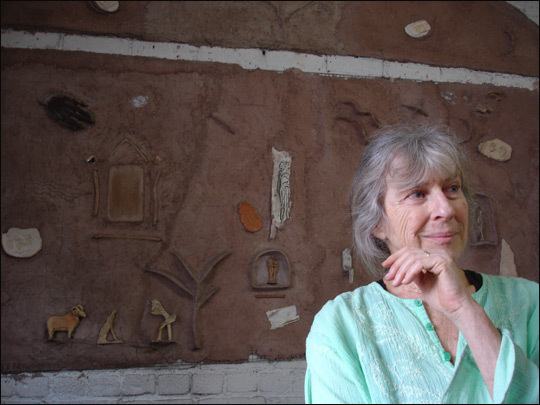 Artist Mary Frank, 74, stands in front of an adobe wall she made by hand in her New York City loft. Frank's "Abide" was painted with oil on canvas this year. 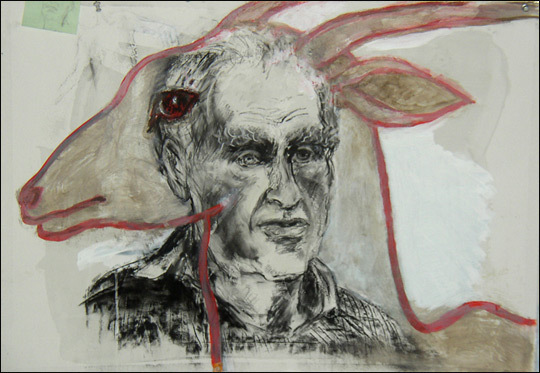 Frank's "Alvin Epstein," from 2006. 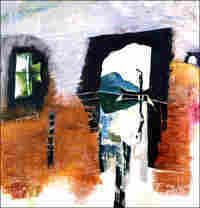 Frank created "Cave I," an oil on board with collage, this year. 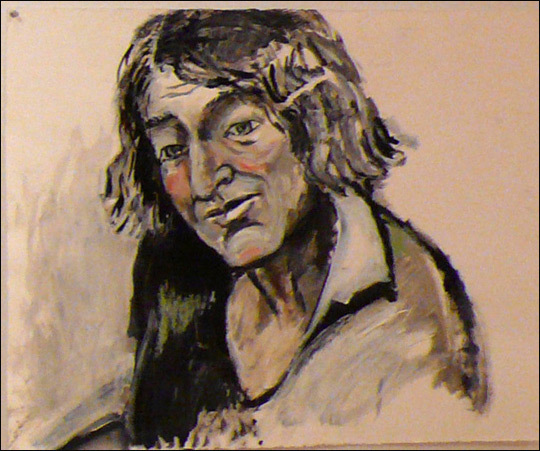 Frank's "Henrietta Mantooth," from 2004. Artist Mary Frank was — and still is — a rebel and iconoclast: She remains true to her vision, not artistic fashions — and it is a vision that hovers between the natural world and the world of the imagination. 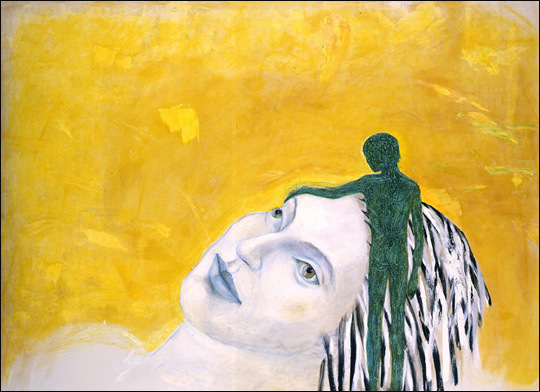 Frank, 74, draws on memory and myth in her sculptures, drawings, paintings and works on wax. Every major museum in New York has collected her works. The DC Moore Gallery in New York will have a solo show of Frank's recent work from Jan. 9 through Feb. 9. 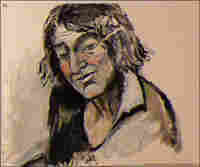 Frank was born in London in 1933. Her mother was an artist and her father was a stern musicologist. An only child, Frank says she had a fervid fantasy life. During the London blitz from 1940 to 1941, she was spirited away to safe havens in the countryside. There, she stayed in bunkers beneath rose gardens with other children who sat on long benches facing each other wearing gas masks. To this day, dreams of people in isolation are featured in her work, and she also plays with space and time in an almost Asian concept of thought, event, time and understanding that are both near and far. She describes the more than 50 portraits in the show as "portraits of people I have known, people I have imagined, and portraits of portraits from the past." "To comfort the dead, awaken the living, to know the migration seasons of birds and fish, to know the human immigrations of the past and right now," she says. "To be able to use experiences and transform them ... to make the eyes of children widen, to give courage, and never be afraid of tenderness or the absurd and to gather joy." Jacki Lyden recently spent a New York winter's day with Frank to talk about her life and art.